The March 2019 issue of Guitar Magazine is out now! 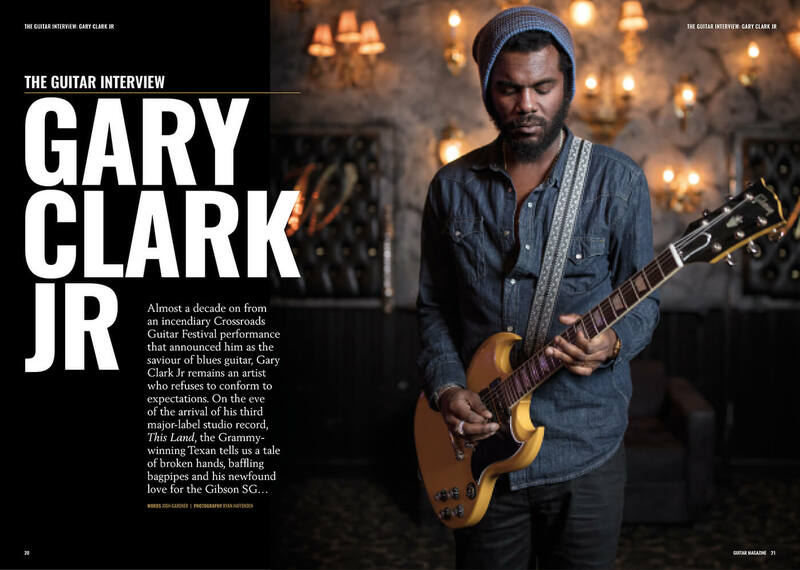 Inside the issue: interviews with Gary Clark Jr and Derek Trucks, reviews of the Gibson 2019 Les Paul Studio Tribute and Heritage H-137, and much more. As the foundation stone upon which the lion’s share of Western popular music is based, the blues is nothing if not adaptable. The great innovations of early 20th-century instrument-making gave acoustic musicians newer and richer voices, and from the moment the electrified Spanish guitar crackled into life, the parallel evolution of the blues in its numerous forms, and the myriad genres it spawned, is the real story of modern folk music. The three kings of modern blues guitar that grace this month’s Guitar Magazine provide compelling evidence that the genre has plenty left in the tank. Infused with influences as disparate as modern R&B, Hindustani classical music and gospel, messrs Clark, Trucks and Gales all bring something new to the table while ensuring that the blues remains a socially conscious medium. Change and innovation are recurring themes this month. 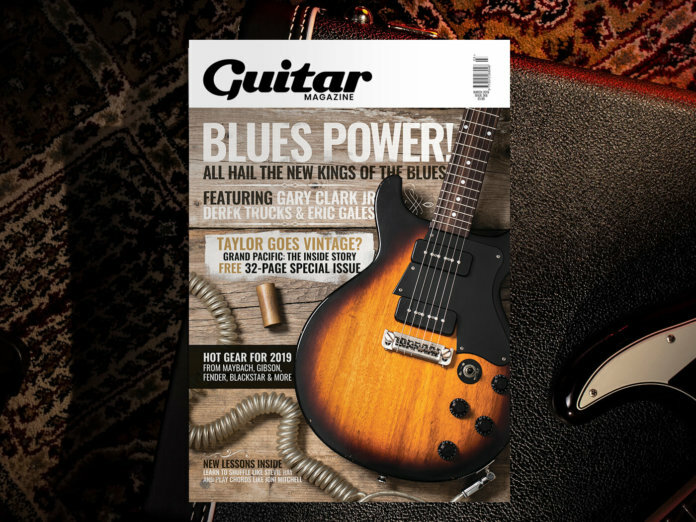 As well as rounding up a selection of the hottest gear launches of the new year, we’ve devoted 32 pages to the Grand Pacific from Taylor Guitars. Just as modern guitar heroes meld past and present in their music-making, in developing the Grand Pacific, Taylor’s master guitar designer Andy Powers has fused his revolutionary V-Class bracing design with the influence of the classic American flat-tops that powered the bluegrass and folk rock that resounded during his formative years. The result is a beguiling slope-shoulder dreadnought that comes in three distinct flavours and looks set to be the biggest story in acoustic guitar in 2019. Get your copy of the March issue today, or download a digital edition here. Gary Clark Jr remains an artist who refuses to conform to expectations. On the eve of the arrival of his third major-label studio record, This Land, the Grammy-winning Texan tells us a tale of broken hands, baffling bagpipes and his newfound love for the Gibson SG. 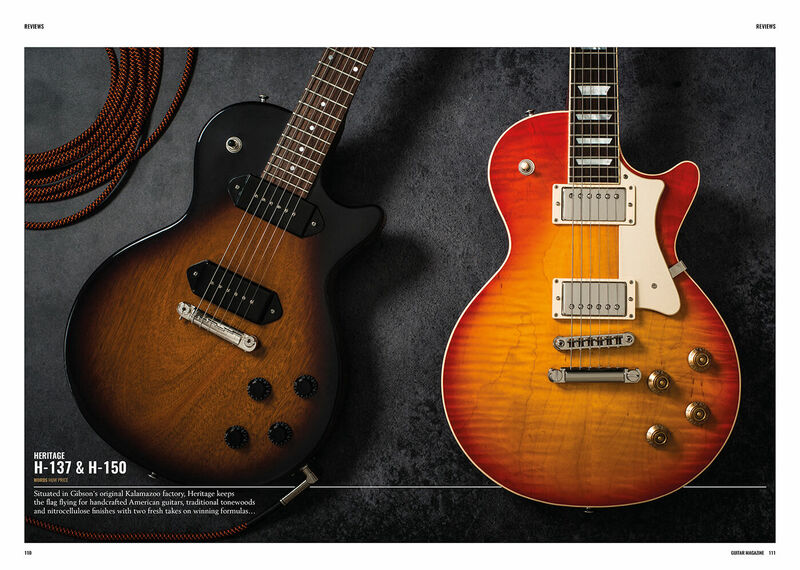 Situated in Gibson’s original Kalamazoo factory, Heritage keeps the flag flying for handcrafted American guitars, traditional tonewoods and nitrocellulose finishes with two fresh takes on winning formulas: the H-137 and H-150. 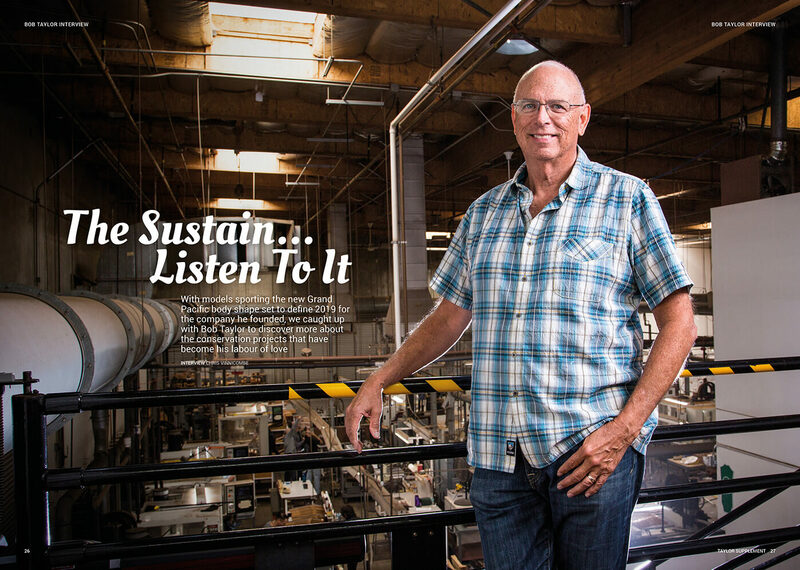 This issue also includes a special 32-page insert dedicated to Taylor Guitars. We catch up with Bob Taylor to discover more about the conservation projects that have become his labour of love.